Rustic bathroom sinks include undermount, drop-in, vessel, wall mount and pedestal type. They are for sale in many different rustic styles, forms and sizes. The best bathroom sink sellers are round, oval, rectangular and square shapes. Also, we produce in Mexico irregular vessel sink models made of copper. Since our bronze wash basins are very decorative and at the same time elegant, they are used most often in traditional bathrooms of country houses, hacienda residences and Spanish mansions. 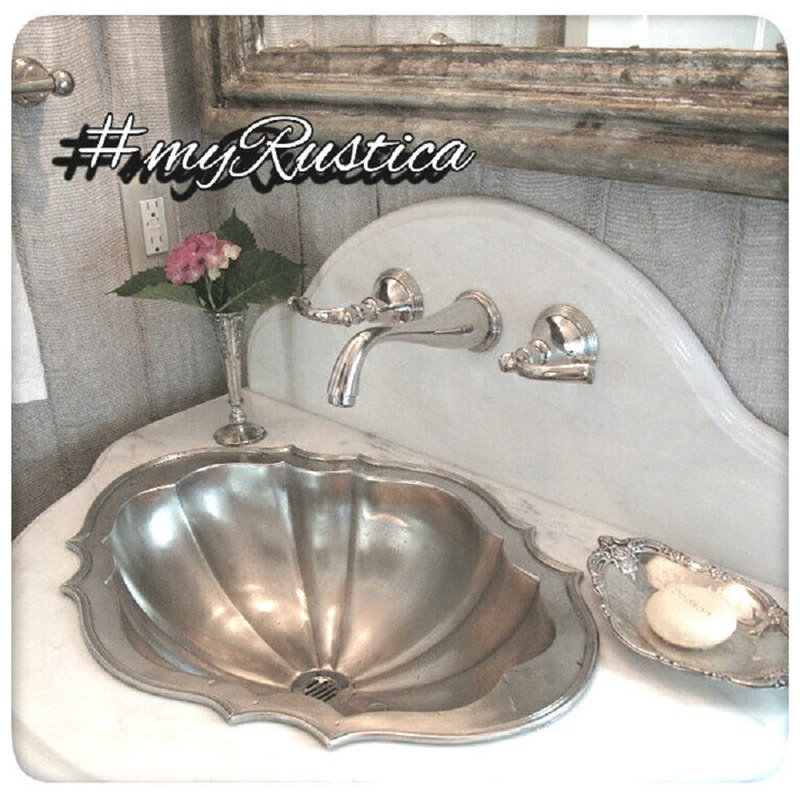 Rustica House bathroom sinks made of talavera are best suited for rustic home improvement and Southeastern character renovation projects. They are handmade in Mexico and quite unique. Our rustic bathroom sinks are easy to install and connect with any standard plumbing hardware. Bath Bronze Sink "San Miguel"